Hypnobirthing (also known as Calm Birthing)is a natural approach to childbirth. Techniques learned will help you achieve a deep state of relaxation, allowing your body to birth your baby naturally, with minimal or no medical intervention. When having a baby with Hypnobirthing you are not in a trance, or asleep, you are deeply relaxed and in tune with your body during the birthing process. Hypnobirthing is based on the philosophy that when a woman is well informed for childbirth and releases all fears, she is able to allow her body to naturally birth her baby. You are fully informed of the range of options available during your labour and birth. 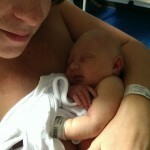 Awareness of the benefits of minimising fear and intervention during labour. Your birth partner understands and is prepared for their support role. You feel empowered to make positive choices that suit your needs. There are four modules to each class. Each couple also receives a folio of resources to prepare you and guide you when the big day arrives. Positive C-Section course available ($450) Private class only BOOK NOW! Join our second day of Group Hypnobirthing Classes or complete a personalised one-day intensive in the privacy of your own home. NB. 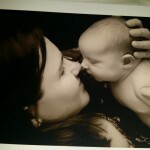 This is for couple that have completed Hypnobirthing with Beautiful Births for a previous birth. If you’d like to find out more about Hypnobirthing please contact us for a complimentary consultation. Your Hypnobirthing course will prepare you fully for your special day. You will be confident in how you can achieve a positive and calm birthing experience that will stay with you for life. Recent studies show that women who have calm natural births with minimal to no intervention will experience better recovery post- nattily and have a higher success breastfeeding. 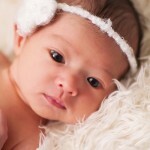 Their babies are more alert with higher Apgar scores at birth, cry less, sleep better and have better long term health. Evidence shows that good Antenatal preparation helps with birth & parenting, so is it any surprise that Hypnobirthing couples experience lower intervention, induction and cesarean rates in their birth, as well as substantially less possibility that they will require pain relief . There are two options for expecting couples, group classes or private classes in the comfort of your own home. Both options include all resources which comprise a folder of class notes, relaxation CD and a link to download Hypnobirthing book. A light snack will also be provided in the break. Group fees are $555.00 per couple while private classes are $750.00 per couple. If you like the idea of Hypnobirthing but aren’t sure what is involved please contact me, I am more than happy to discuss the content of our classes in more detail. This is for couples who have already used Hypnobirthing for a previous birth. An in home refresher (1 session) will be tailored to your individual needs. Please contact me for further information about this service. The journey to parenthood is incredible and having a Caesarean doesn’t mean you can’t have a calm and beautiful experience. Whether you require or have elected to have a Caesarean, you can remain in control and be prepared for the positive outcome of meeting your precious new baby. After taking part in a Hypnobirthing for Caesarean Birth Class you will be surprised at how empowered, informed and calm you feel about the procedure. You will learn what your options are and you do have control in how you approach this event, right down to the ambience in the theatre room. This course is designed to give you the confidence to approach caesarean birth just like a vaginal birth, by teaching specific and important techniques for relaxation/self-hypnosis, aiding a speedy recovery. Feel strong and look forward to the birth of your baby. At a C-section birth conducted at the Wesley Hospital in Brisbane, the birthing mother was so calm (with the use of these techniques) that her heart rate actually went down at times of the procedure when the mother’s heart rate normally escalates. The Obstetrician and Anaesthetist were amazed at how calm the birth was and how well mother and baby were throughout! This is Elizabeth the moment she received her baby – a magical moment! Click here for their birth story. 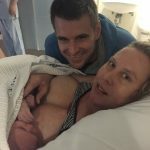 Brisbane mum Jessica used Hypnobirthing techniques for her planned Caesarean birth and she was euphoric with the results. Watch the documentary of their birthing experience below. To read their full birth story please click here. Each couple receives a folio of resources includinginformation on ‘The Natural Caesarean’, the birth partner’s role and ‘The Positive Caesarean Birth’ DVD by Hypnobirthing Australia.